Rep. Rosemary M. Brown has been appointed to serve on various House committees as well as selected to serve as a Deputy Whip for the House Republican Caucus. HARRISBURG – Rep. Rosemary M. Brown (R-Monroe/Pike) announced she will be serving on four House standing committees for the 2019-20 legislative session. “I’m honored to be newly appointed to the Appropriations Committee that plays such a critical role in establishing the framework and budget for Pennsylvania. This committee is a tremendous responsibility. I have also been appointed as a Deputy Whip which is another critical responsibility in bringing a team of legislators together, discussing details of legislation and leading the proper communication to all leadership.,” Brown said. •	The Appropriations Committee, which is the primary committee of the General Assembly tasked with overseeing state government spending, state fiscal policies and developing a state budget each fiscal year. •	The Education Committee, which works on state issues involving public and private schools, encompassing pre K-12 basic education, as well as post-secondary education. •	The Professional Licensure Committee, which deals with the 29 licensing boards located administratively in the Department of State. The department provides the boards and commissions with legal, technical and logistical support to administer their licensure programs. •	The Transportation Committee, which handles legislation related to general Vehicle Code and regulations, including driver licensing and training, vehicle registration, rules of the road, and all other transportation issues, such as mass transit, rail, PennDOT and highway issues. 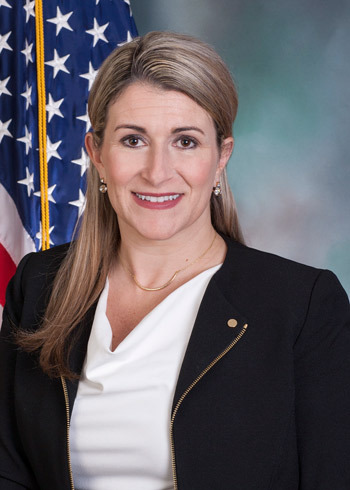 Brown was also appointed as a Deputy Whip for the House Republican Caucus. For more information about any state-related issue, contact Brown’s district office in East Stroudsburg located at 143 Seven Bridge Road, by calling 570-420-8301. Information can also be found on online at RepBrown.com or Facebook.com/RepRosemaryBrown.